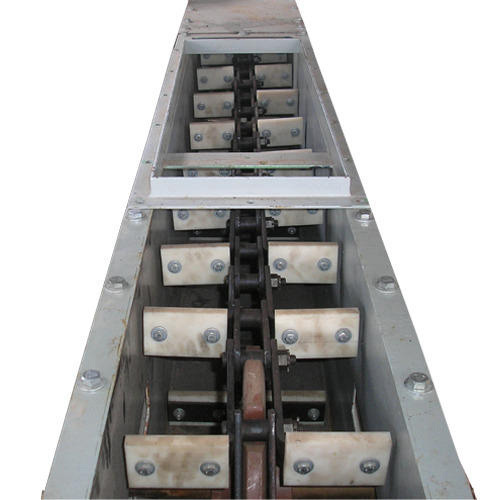 This Conveyor mostly useful in Pharmaceuticals and Oil / Refinery Industry for Filling, Bagasse Handling. "Amarshiva Engineering Company", Hyderabad, established in the year 2007, an ISO 9001:2015 Certified Company, is among the prominent Manufacturers, Supplier and Exporters of a wide range of high quality Crushing & Construction Equipments.. The offered product range comprises of Crushing & Construction Equipments. These products offered by our company are manufactured from high quality stainless steel, which is obtained from well established vendors. Available with us at highly affordable market prices, these products are highly appreciated among our customers for their resistance to corrosion, sturdy construction, impeccable finish and hassle free installation. These products are also available in customer stated specifications. We deal in the brand name "GeeVaa". Our organization has been supported for nearly two decades by a team of hard working and highly skilled professionals. The optimum quality of our product range is our central objective and that is achieved through rigorous in-house quality checks by our team of quality controllers. These professionals work in close coordination with each other and with the customers as well, to design and develop highly efficient crushers and material handling equipment. The training's to upgrade our professionals’ technical skills are carried out through a series of workshops, which are conducted time to time, as per the requirements of the changing market trends. We have been able to export our product range efficiently in South Africa, Fiji and wish to extend our clientele to other parts of the world.